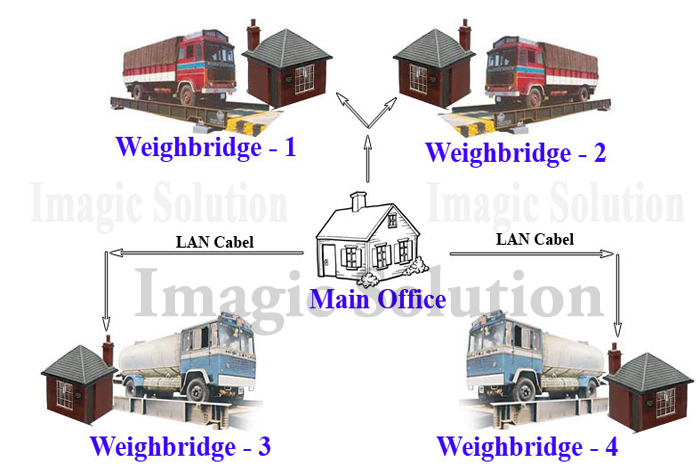 Weighbridge software is a connecting weighbridge in LAN, its working as a client-server system. For Ex. In one Premises three weighbridge we can manage vehicle Weighing Any Place Any time with common Data. Weighbridge software provide facility for Slip/label printing can also be customize as per user requirement. Users can put their logo or use pre-printed stationary and can even design their own slip. Imagic Solution provide two type of weighbridge software 1) - Desktop Application, 2) - Web based application, both software working with Client-Server Application. Same feature included like Weighbridge Software. Same As Weighbridge Software Reports.